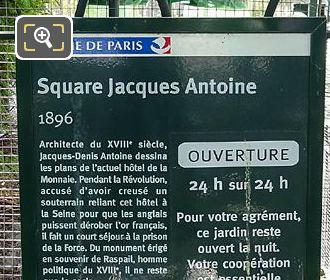 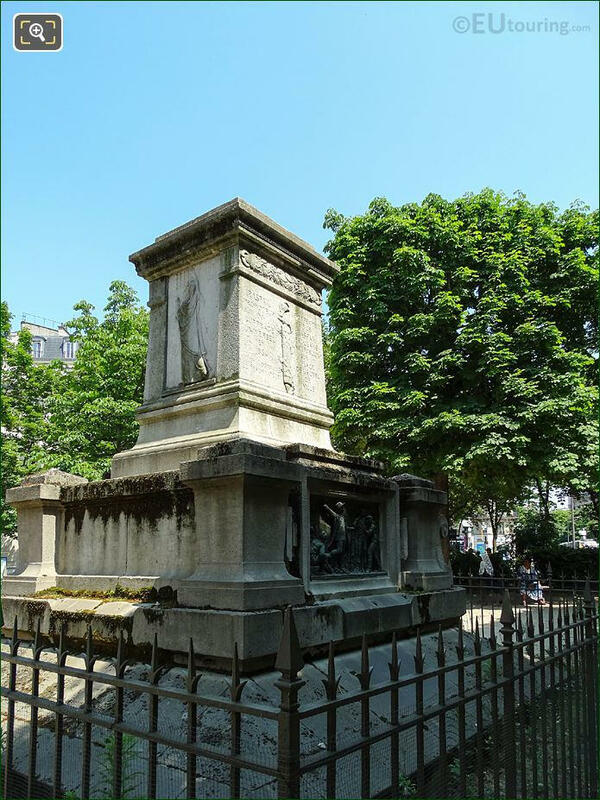 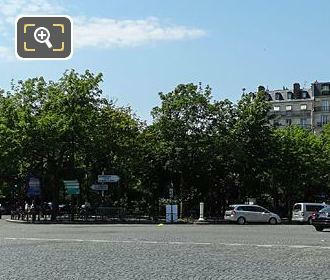 Again while we were at the Place Denfert-Rochereau in the 14th Arrondissement of Paris we took these high definition photos showing the Square Jacques Antoine. 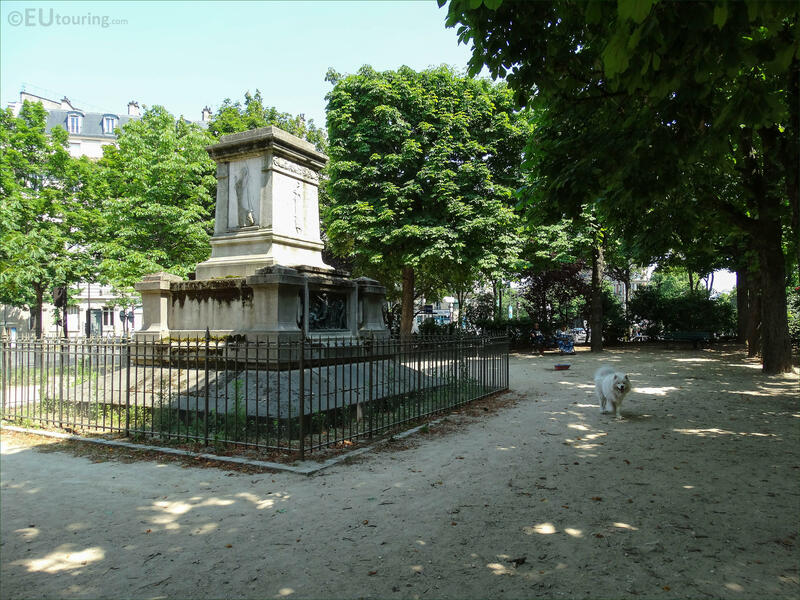 This first HD photo shows the Square Jacques Antoine that has a monument within it dedicated to Francois-Vincent Raspail, and as you can see, this is one of the dog friendly squares in Paris, which is open 24 hours a day and still has plenty of greenery to enjoy. 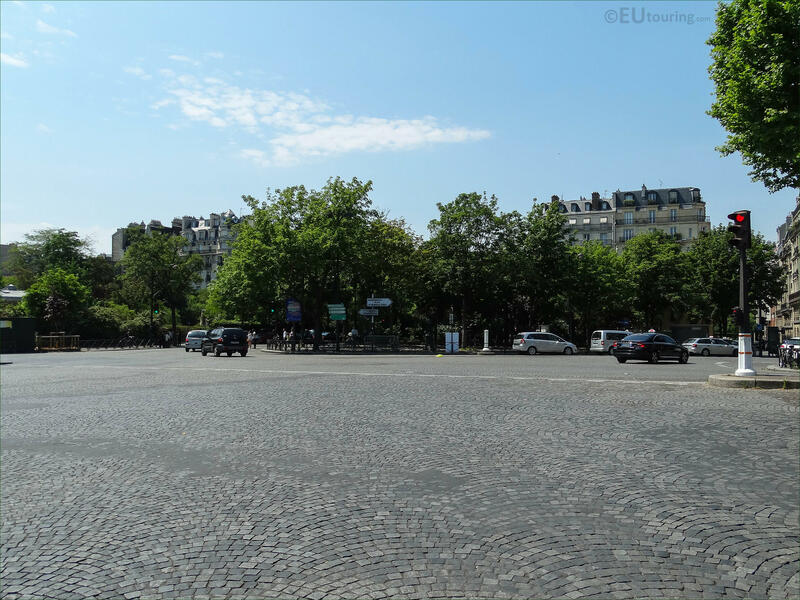 Now this particular photo was taken as we were looking towards the Square Jacques Antoine from the Place Denfert-Rochereau, which is actually one of the main gardens in this area of the 14th Arrondissement, and you will find that this is the northern square. 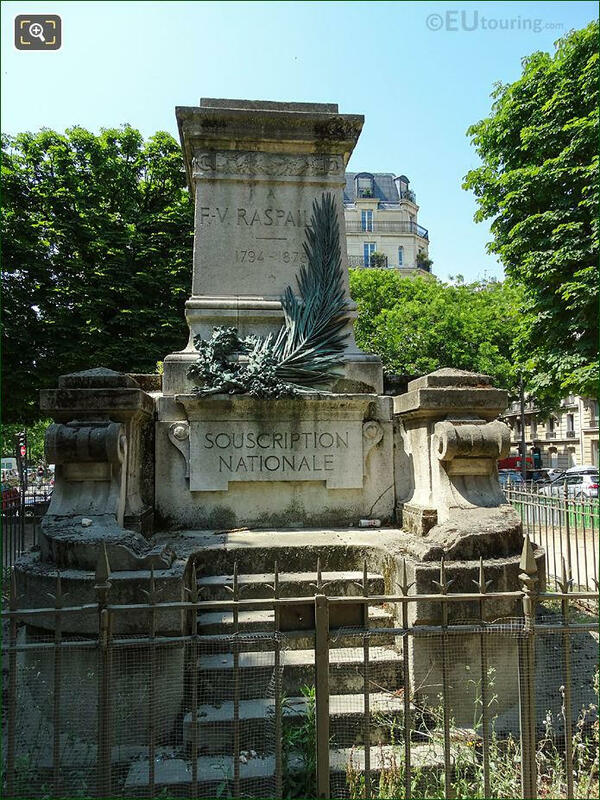 So here you can see the main side of the Raspail Monument within the Square Jacques Antoine that was produced by the brothers Charles and Leopold Morice, and although the square itself was first laid out in 1896, the monument was only put in place in 1899. 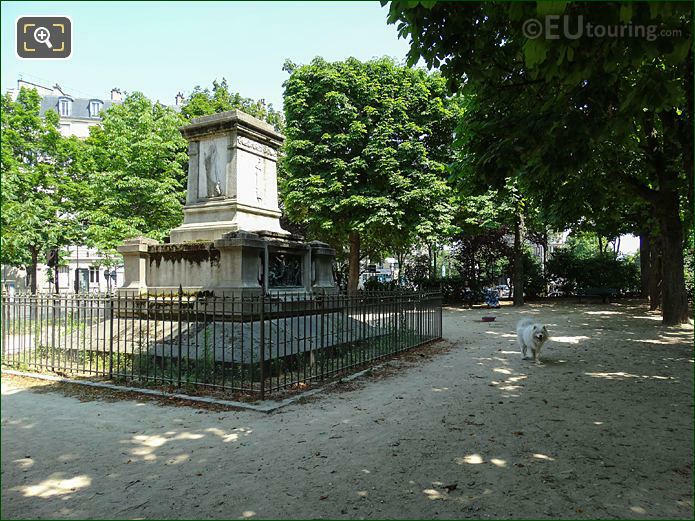 And although you can see part of the original monument that still stands within the Square Jacques Antoine, this particular garden area at Place Denfert-Rochereau was name after the architect Jacques-Denis Antoine, who was the person that designed the Hotel de la Monnaie, which is home of the French Mint. 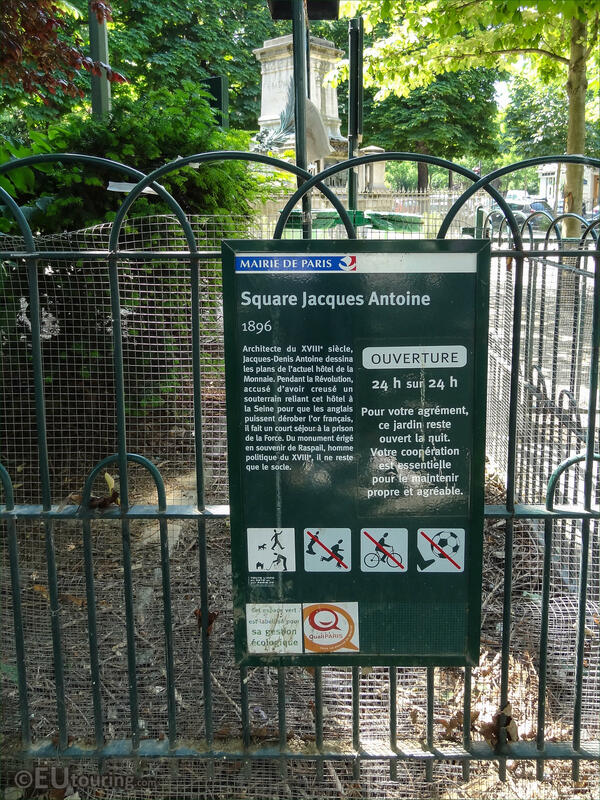 But this photo shows the official tourist information board located on the railings next to the entrance of the Square Jacques Antoine, which provides a brief history of this public garden area including an unusual fact that Jacques-Denis Antoine was accused of digging a tunnel from the Mint to the River Seine so that the English could steal the French gold.